from the left coast to the east. a wandering Pawnee being anything but meek. his wandering no more his choice. over the black man who still had no voice. if they ever moved at all. seemingly turned on the Pawnee, Otoe and Kaw. his land, his freedom and his lores. Free-write rhyming thing, an exercise I tried to get the juices flowing. For whatever reason, the name William Stafford and the words “Lawrence, Kansas” kept clanging in my head. 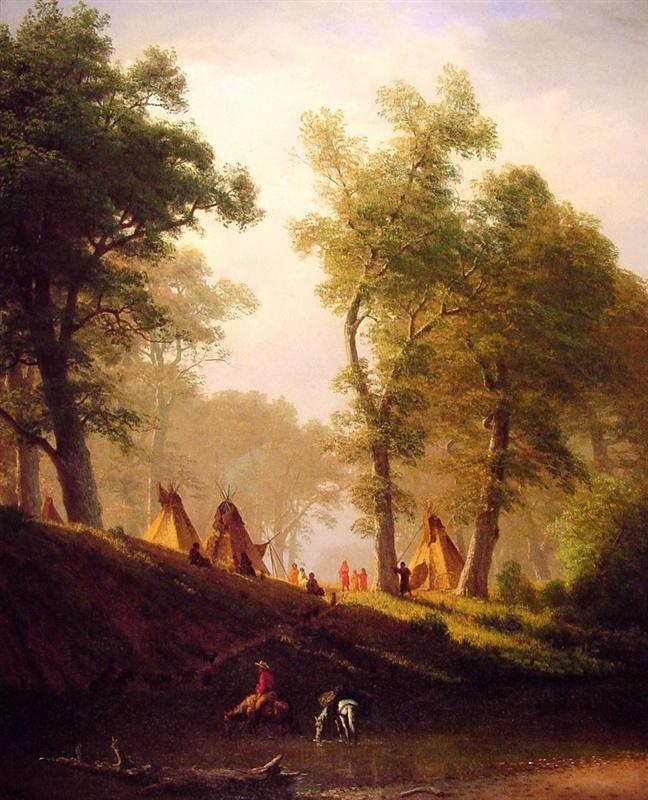 I searched for some art that might help stimulate some creative spark and found that picture by Albert Bierstadt of Wolf River in Kansas, circa 1859. Then I let loose the reins and my claybank muse cantered me here.